1. Use bags instead of wrapping paper and put as many presents as you can in one bag. 2. If you must use wrapping paper, use those which can be recycled by your local council. 3. Buy an artificial Christmas tree. There are lots of realistic, affordable ones on the market. Do not contribute to tearing at our earth's lungs. 4. Try cutting down on electricity wastage by using natural candles instead of hundreds of lights. 5. If you must have all your Christmas lights, determine to turn them on a little later in the year, and turn them off after a pre-determined time every night. 6. Get your kids to help in recycling the packaging that comes with Christmas presents. Separate the cardboard from the plastic and recycle responsibly. 7. 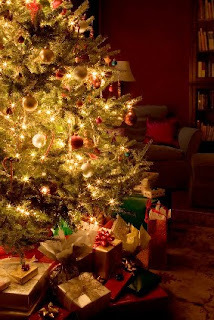 For a greener Christmas, cut down on presents and buy a food hamper for a poor family nearby with the money you save. This is a vital lesson to teach your children. Get them involved in this too. 8. Take your own bags when you go shopping. 9. Go for a walk instead of a drive. 10. Cook less so you have less food wastage on Christmas day. Save your leftovers for a curry the following day. 11. Send e-cards. They make for a greener Christmas. 12. If you work in an office, generate an e-card or just one bulletin and get everyone to contribute their own personal message. Send this as a memo to the entire office. Anne, these are cool and responsible ideas for a greener Christmas. and I invite you to do the same. It`s all about how to choose a proper companion who uses your money in a right way - that`s the AimTrust!. I refuse to buy live tree since my divorce, and I set my lights on timers all around. These are wonderful tips, Anne! Thanks for your comments, Judy and Icy.